Better Rota Managment - save time and money. Stop wasting time and money with tedious manual rota scheduling, late employees and missed shifts! Rotaville is here to help. Quick and easy shift management. Advanced PDF and CSV reports. Self-training for new employees and managers. Only Workforce Owners need to upgrade. Employee and manager access is free. Monthly Subscriptions can be changed or cancelled at any time. No lock-in contract. 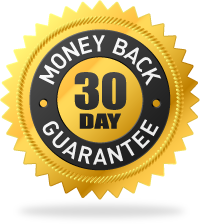 We offer a full 100% 30-day money back guarantee if you find that Rotaville is not right for your business. All major credit and debit cards accepted. Paypal also accepted. Direct Debit option for UK customers. Enterprise Plans: Rotaville scales to any business size. Need more employees? Please contact us.